Wonderful, quirky AI coach, but just not for me. What is the MOOV NOW? MOOV NOW is a multi-sport wearable watch. 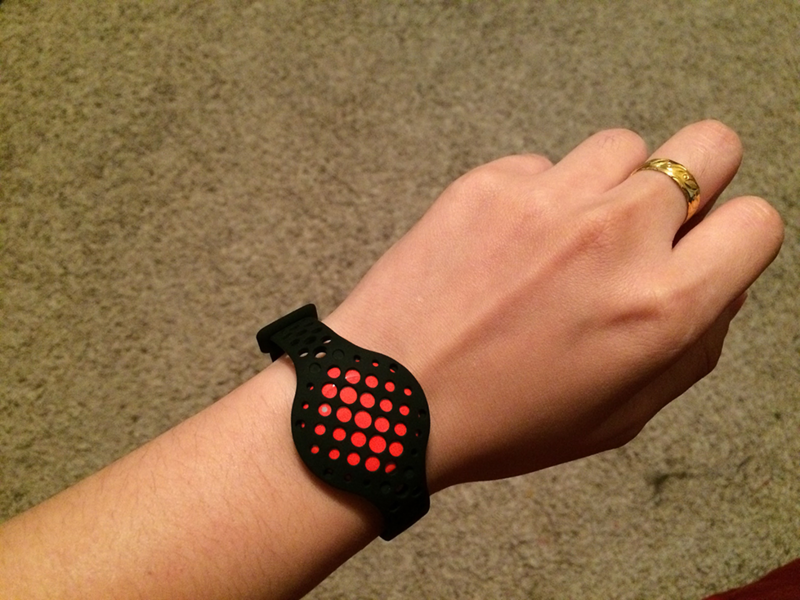 The MOOV NOW is a wearable band that syncs to an app on a smart phone through bluetooth technology. It has exceptional motion sensing technology that can read and analyze movements. Using this technology, a collection of sports analyzing apps were created to help improve performance and whisper words of encouragement to their users. Set up is very simple. The band literally only has one button, itself. Download the app, press the button, and all synced up! The app is very beautiful and easy to use too. I wish the app could sync with my other apps so that I could keep my data all together, such as my running log. I liked the sleep tracking, but it was wrong sometimes. It didn’t track irregular sleeping too, unfortunately. The design of the band is simple and beautiful. I like how I can wrap it around my legs too. It looks amazing … but only when exercising. I am sad to say that it looks somewhat alien-like and stands out a a bit too much as everyday wear. This was really troubling because I wanted to take it off but I also wanted to track my movements. Comfortable: The band is unbelievably comfortable and easy to use. Ease of use: Very user friendly. Beautiful: As a wearable and as a mobile app. Waterproof: No need to ever take it off besides changing batteries. Personality: AI coach says the best things. Cost: A bit expensive for a wearable that is only really useful when exercising. Limited: Very specific and not so useful for everyday use. Alien Fashion: May be a pro depending on taste. Not a clock: Does not tell time. Reminds me of Spy Kids. I enjoyed the times that I spent with my AI coach. Some of the tips and encouragements she said to me were really memorable because they were so baffling, such as “imagine your hands cupped and holding eggs” and “picture yourself running over hot lava.” Since I did more of other sports than the ones that were supported, I didn’t find much usage for my MOOV. Because of that, I wasn’t able to fully use the potential of my wristband and felt unsatisfied by my lack of progress. I am interested in perhaps a future version of the product for when there is more support built in, or if I choose to pick up more sports.